That I’ve been calling home for years. But the only thing comes out is tears. It may seem I fell behind. I just crossed that line. I was counting on favors and finding none. I left everyone behind to chase the sun. If they could see me now, I bet they’d laugh. I was praying for rain there, and I ran out of gas. You cross that line with nothing left. Even memories are so hard to believe. All means of coping are put to rest. Some go willingly, but all go in grief. Or if it was ever really there at all. 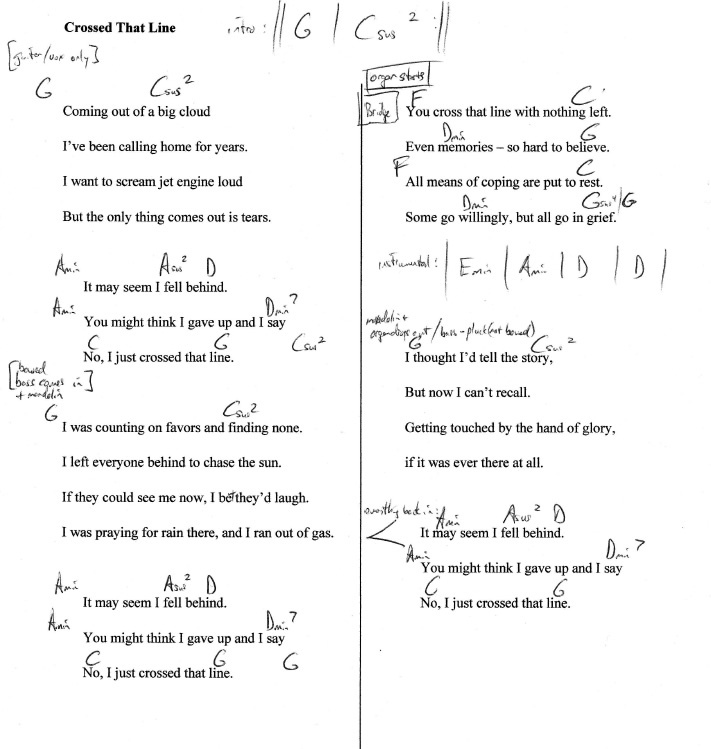 Lyric sheet with chords. And some initial arrangement notes that changed a little in the final version.